Stand apart from the pack with a promotional pen that offers comfort, multi-functionality, and a sleek and stunning design. 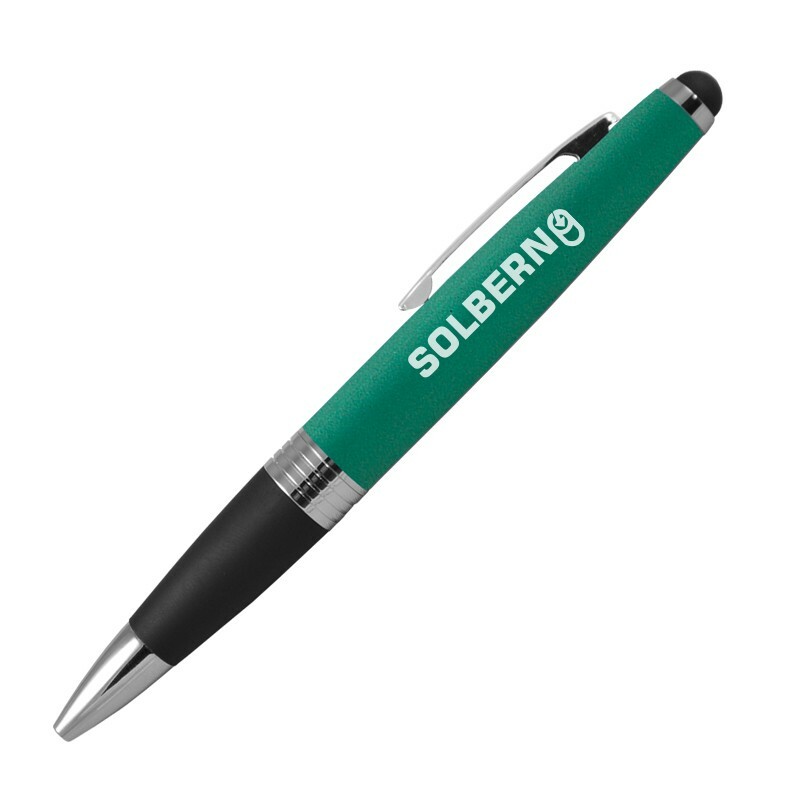 The personalized Bullet Ballpoint Pen from Sutter’s Mill Specialties features solid aluminum construction, with a tapered end design that provides comfort and naturally emphasizes your laser-engraved logo in the middle of the barrel. A sturdy silicone stylus tip allows for easy use on any touchscreen device. Choose from multiple colors in an elegant matte finish, accented by a silver chrome tip, center band, and clip. Or for a truly striking and unique product, go with the black pen design, which features all black accents. 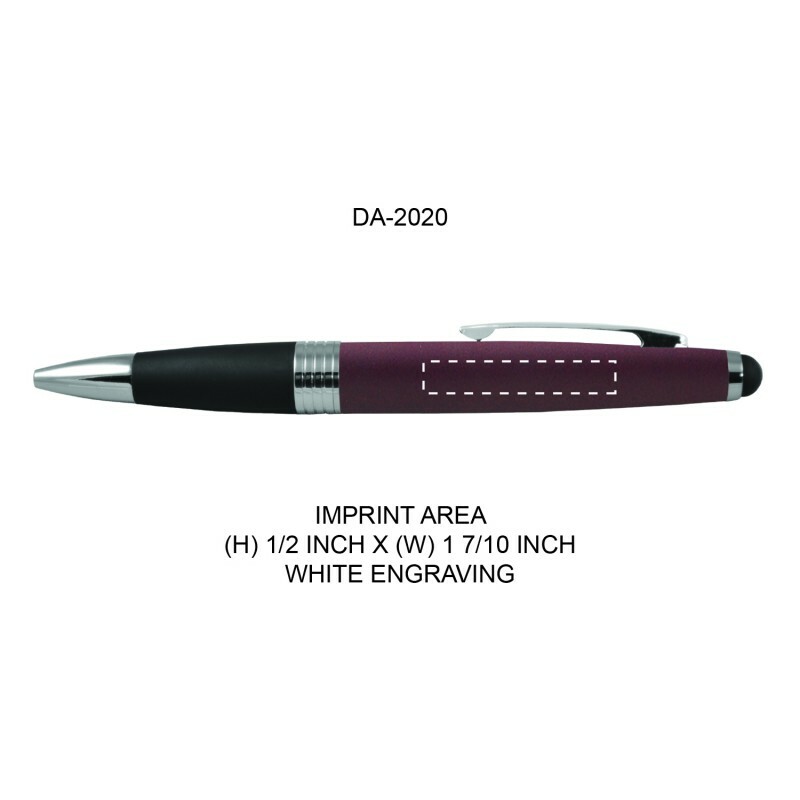 No matter which style you choose, this pen is certain to draw all the right kinds of attention.